What would you do when your girlfriend or spouse let you choose a place to dine? In fact, most women would let their boyfriend or spouse to choose a nice place to dine in. It’s rare to find a woman who would tell you the place where you both can eat and chat. If she’s the one who loves food (like you), then the problem is settled! Anyway, we often use Foursquare to decide where to dine, even my Hubby used it to decide where’s the best place to dine in because I’m a person who don’t know where else to eat unless my friends like Maslight, Nerdy Ned and a few more great friends posted some nice foods on Instagram. I always trust their recommendations. You cannot fight with a Sifoo. When we talk about place to eat, we’re talking about the best place to dine in. Not the one which you end up with no appetite to eat because of the ewwww foods or service. That’s from a customer point-of view. Thus, as a business owner, or restaurant manager, it’s very important to make your restaurant ‘famous’ via online. It’s fast, easy, and reach more target customers than the old traditional word-of-mouth marketing strategy. Why waste money on advertising that only promise you a limited range of marketing while you can spread your wings internationally via online marketing? 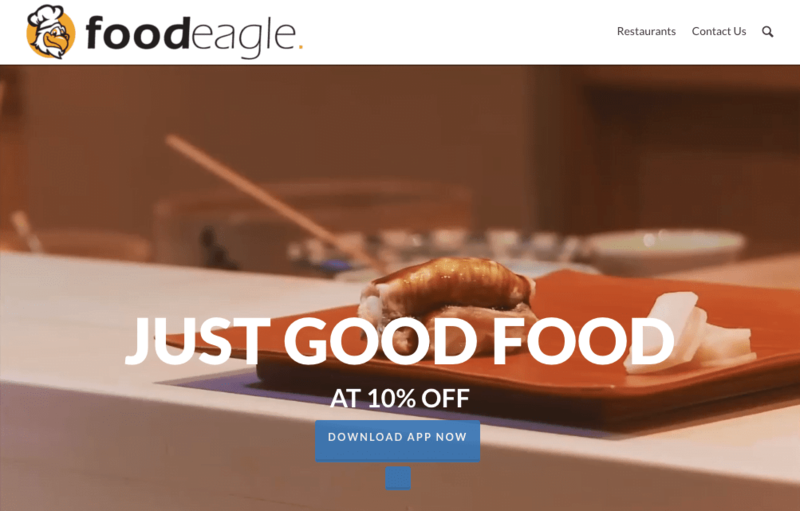 Today’s post is about FoodEagle, a simple application which allows you to find places to eat in your local area. If you are a member of the application, then you will be able to get 10% off your meal. The registration is simple. All you need to do is to download the app from your apps store. FoodEagle is made available for both iOS, and Android. It’s free. I love the ideas, and features of this apps, unfortunately, I couldn’t find any local restaurants available for me to check in my area. FoodEagle is pretty new, and I bet it needs more improvements including the descriptions as I hardly find the purpose of this app. The only feature that I can find is ‘Add Restaurant’, and my so called ‘timeline’ is totally empty because the apps couldn’t find any restaurants listed on their database. I would be the happiest person on Earth if it looked like a Food Tinder. This apps is made available for those who are residing in USA at the moment. 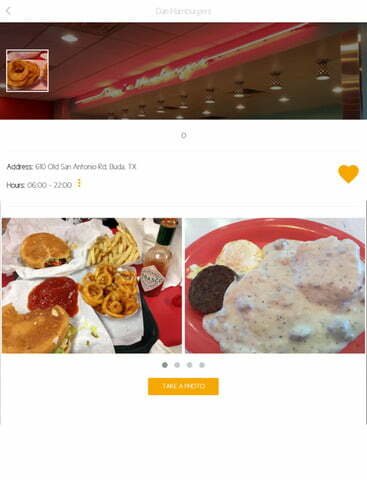 Currently, the app has more than 1000 restaurants signed up, and increasing with over 100 a day. Unfortunately, it’s not available for those who are residing outside the States. It would be great if I could change my location to check for other available restaurants in other areas. For instance, I might be travelling to USA next week but I couldn’t find the ‘setting’ tab for me to change the location so that I can check some great places to dine-in before I reach the States. Apart from that, I find this app can only be registered via Facebook account in which I find it’s quite troublesome as I wished it has an option for me to log in using my email address. If you’re residing in USA, this is absolutely a great app for you. You can download this food ‘Tinder’ below.